The selection of the right profile sanding wheel for wood sanding must be determined based on the customer’s requirements. Our highly experienced engineers and application technicians will be pleased to advise you by phone or email, regarding a high quality and cost-effective type of profile sanding wheels FAPI-Flex-Radial for your process. 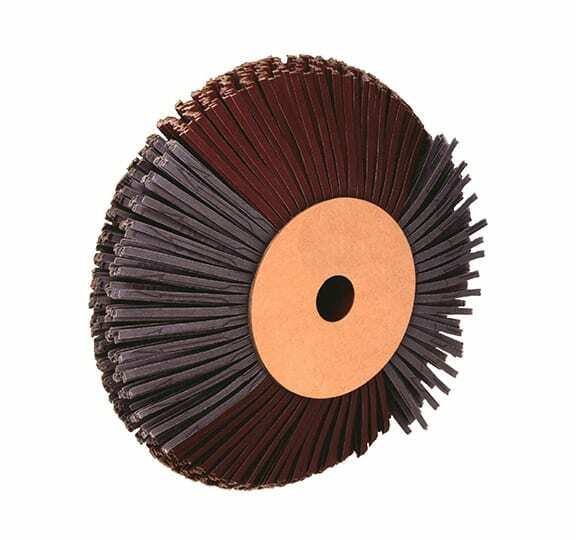 The 5 mm wide abrasive cloth flaps of the profile sanding wheel of the FAPI-FLEX-RADIAL series are arranged in two groups. The grain side of the abrasive cloth flaps of the two groups, which are fastened radially to the hub, face in opposite directions. All of the wheel’s abrasive cloth flaps are made of a medium and strong flexed abrasive cloth with the grain size 100 and finer. Depending on the spacing of the ring elements (3, 5 or 8 mm) relative to one another and because of the various surface heights, various tapes of hardness of the profile sanding wheels of the FAPI-FLEX-RADIAL series can be obtained. The profile sanding wheels of the FAPI-FLEX-RADIAL series are – depending on the respective grain size – especially well suited for fine wood sanding and/or intermediate varnish sanding. For example, this tool can be used well when working on fold area on doors and windows. Profile sanding wheels of the FAPI-FLEX-RADIAL series can also be used for all kinds of sharp edged profile shapes, for example strips. 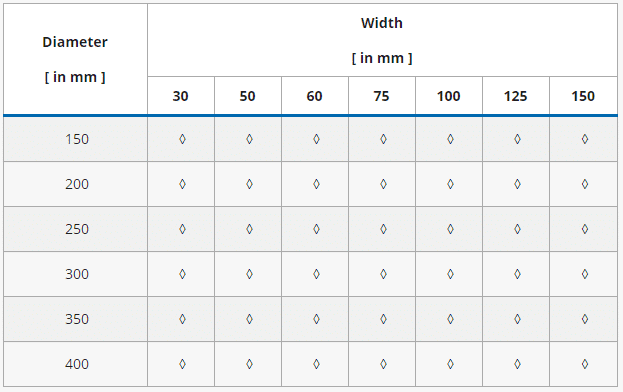 Diameters 250 and 400 mm are standard dimensions. Further dimensions and bores on request!